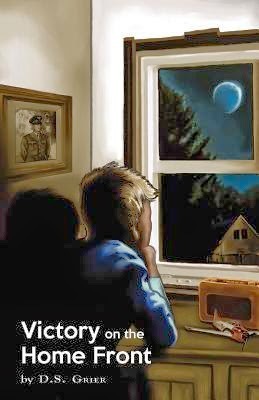 As if the fighting going in during World War II wasn't enough, the tumultuous life at the MacGregor makes eleven-year-old Les want to run away. It doesn't help that the school bully has made sure nobody wants to be around him. When his family sees his older brother James off at the train station as he heads off to join the war effort, Les uses the opportunity to escape to the one place he feels loved. His other two brothers later join him as his alcoholic parents try to pick up the pieces of their troubled life. While the story explores the problems of a dysfunctional family and brings attention to attention deficit order in a beautiful, sensitive way, the constant shifts in points of view, sometimes several times in a chapter, can jar and confuse the reader. The young adult reader may see some of his own family in the novel but may struggle to stay fully connected to the characters.